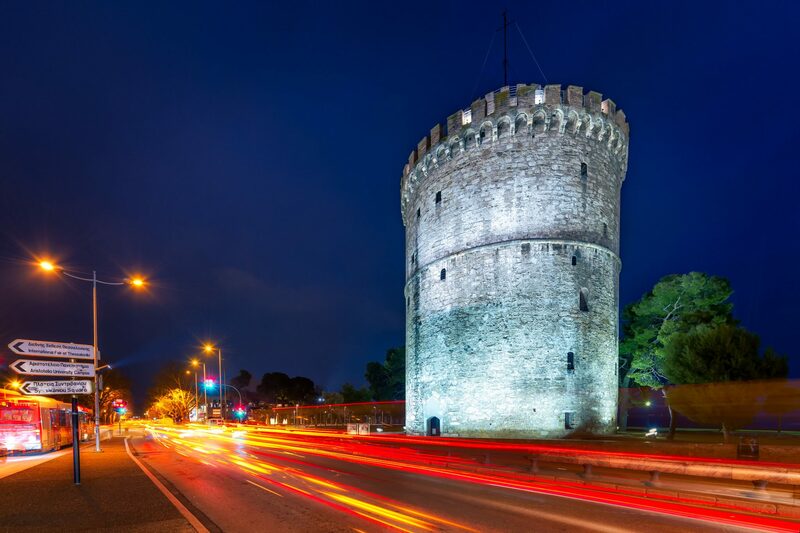 In ancient times on the place of the White Tower there has been a Byzantine fortification. In the 15th century, when the city fell under Ottoman Rule, the construction has been used as a prison and also as a place for mass executions, which explains why its name was ‘The Red Tower’ then. As soon as the Greeks were free from the Ottoman Rule in the beginning of the 20th century, they whitened the construction and gave it the name “The White Tower”, as a symbolic purification from the burden of the past. Some images are captured like magic – quickly and without hesitation. However, that was not the case with my photo shooting of the White Tower and the National Theater in Thessaloniki. So, I was walking up and down, trying to capture the perfect composition at the best light, which may have looked funny for an outside eye. 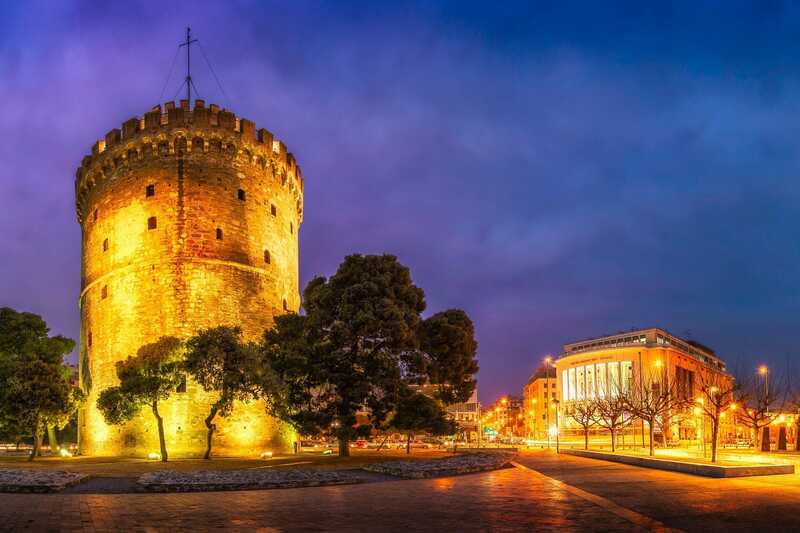 Finally, during the blue hour, I took a photo that satisfied me – with the city lights giving this violet shade around Thessaloniki White Tower. 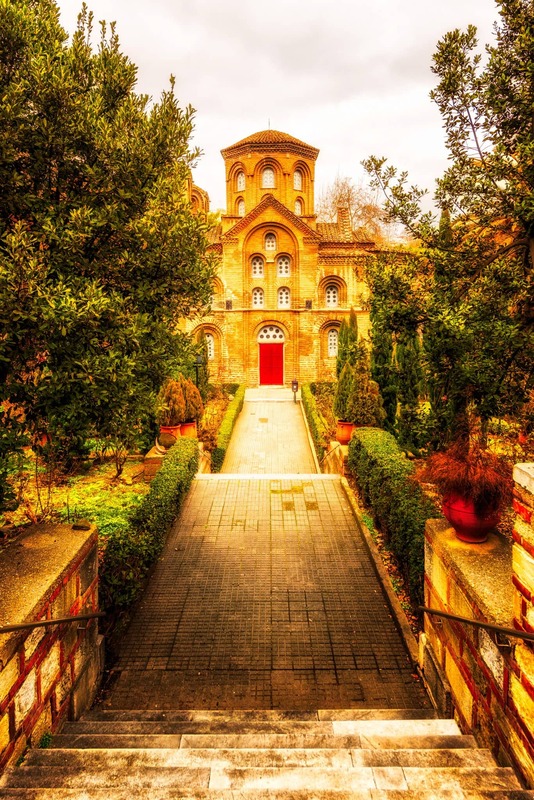 We found this Greek Orthodox church thanks to an app that led us around the city and helped us discover also many other such sights in Thessaloniki. 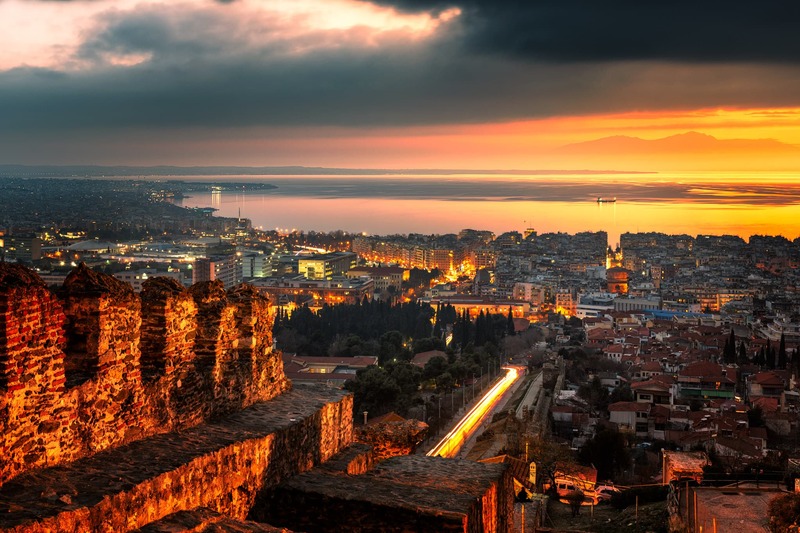 Built in the 11th century, the architecture of this Thessaloniki church is of the typical for the region Macedonian style. The locals call it “the Red Church” because the entire building is made of bricks.